These days, more and more people are traveling on their stomachs -- and we're not just talking about monster onboard buffets! Interest in local foods has never been higher, and cruise lines are responding to the trend, offering shore excursions that give you a true taste of the region you're visiting. The most culinary offerings tend to be on Mediterranean and Adriatic itineraries, but we've also included some surprising tours from other ports around the world. Whether it's a cooking class, wine tasting or slurping oysters straight from the sea, we've got you covered, with these 19 great excursions. Come "bite-seeing" with us! The Scoop: On this walking tour that takes in the seafront and Old Town, you'll see some of Cartagena's top sights, including the Palace Hall, Maritime Wall, Roman theater and modernist buildings. Along the way, you'll pop into five tapas bars to enjoy the savory little snacks that Spaniards typically enjoy in the early evening. 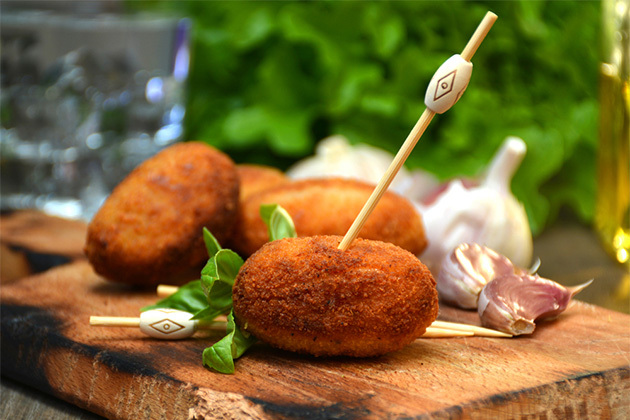 The Eats: The tapas of the day might be albondigas (little meatballs), local cheeses, jamon (ham), Spanish omelet, croquetas (little deep-fried balls of heaven) or other morsels. Why We Like It: With five stops, you get plenty of tastes on this tour compared to other tapas shore excursions. Plus, you'll take in some great sights along the way. The Scoop: You get to try a range of local tastes on this visit, as you visit a lively local fish market, microbrewery and bakery. The Eats: Dine on salmon, crab salad, award-winning fish cake and other fishy goodies, followed by a beer tasting (with snacks) and topped off with baked treats. Why We Like It: We love local markets, and this tour not only visits one of those, but also a brewery and bakery. There's something tasty for everyone -- and you get a better understanding of Norwegian favorites. The Scoop: Hop a water taxi and head for the market in Rialto Square for a tour that teaches you about Italian ingredients, then walk to the Corte Tiepolo, where Countessa Lelia Passi welcomes you to her palace, the family seat for hundreds of years. The countess teaches you how to create dishes from a number of regions, including Venice, Naples and Sicily. The Eats: You'll get to devour your creations at the end of the class. Why We Like It: Hanging with a countess. In a palace. And eating Italian food. Pinch us, someone, we must be dreaming! The Scoop: This small-group (12 or fewer) tour takes you on a tasting at the La Croix winery (known for its grounds and sculptures) where you'll taste three Provence varietal wines, and then head to dinner at a Michelin 3-star restaurant nearby. The Eats: At 3-star La Vague d'Or, you'll dine on a tasting menu, paired with wines. Why We Like It: If you're a "go big or go home" foodie, this is your tour! The Scoop: On this tour, you'll taste at three boutique wineries -- and you might get a peek at the unusual basket-shaped grape vines on Santorini. The Eats: At Sigalas winery, sample the Mavrotragano. In the hamlet of Megalochori, visit the Gavalas winery for a taste of Assyrtiko. At the Argyros winery of Exo Gonia, try Santorini's famed vin santo sweet wine. Why We Like It: This tour gets you away from the tourist mobs and to a nice variety of wineries. And you don't have to worry about Viking confiscating the wines you buy -- they encourage you to bring wine onboard. The Scoop: Head to the Bandol wine region of Provence, where Michelin-starred Chef Rene Berard greets you at a 19th-century farmhouse, La Bastide des Saveurs. You'll go with the chef to collect vegetables, herbs and fruits from the garden and move on to the kitchen, where the dishes you'll cook vary with the seasons. The chef will school you on French techniques and secrets. 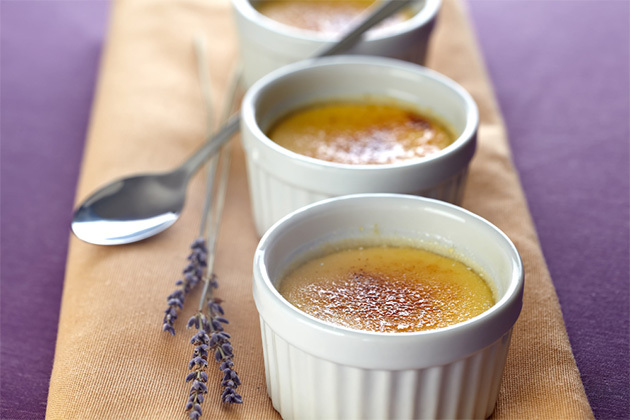 The Eats: Possible dishes include Provencal stuffed vegetables, black olive tapenade, garlic mashed potatoes and lavender creme brulee for dessert, all paired with local Bandol wines and an aperitif. Why We Like It: Learning from a Michelin-starred chef? Cool! Plus, you get to forage in the garden for ingredients. Extra cool! The Scoop: You'll wander the streets of the Old City, along with the ship's chef and a local guide, stopping at bakeries and coffee shops. Then, it's on to Areutosa, an all-Cretan restaurant for lunch. The Eats: Tastings include items like pastries, breads, coffees and olive oils. The lunch restaurant showcases ancient ingredients, cooking methods and recipes, so you'll be immersed in Cretan food, along with wines from the island. Why We Like It: It's always fun foraging with a chef, plus you get a lunch focused on local flavors. The Scoop: You'll visit Copenhagen's market halls, where you'll learn about New Nordic cuisine with a guide, in addition to tasting as you go. Then there's free time to graze on your own. The Eats: Tastings might include cheeses, cold cuts, chocolate and other goodies. Why We Like It: Despite the chilly climate, the Copenhagen food scene is hot, hot, hot. This is a good way to connect with it. The Scoop: This tour is offered in many other ports; on some itineraries, it's available at nearly every call, but on others it's offered only once during a cruise. 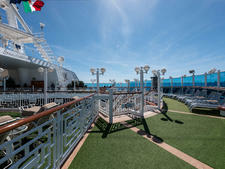 Accompanied by the ship's chef, you'll stop first at the local market, where you'll pick up ingredients. Later in the day, with the chef's guidance, you'll help prepare regional dishes -- including learning about plating and presentation. The Eats: You get to dine on the three courses you've helped prepare, in a special dining area called the Kitchen Table. Why We Like It: You get to experience local flavors, from market to finished dishes. The Scoop: On this trip, you won't visit just any winery -- we're talking Chateau Mouton Rothschild. You'll get a full tour of the chateau, including vat house, cellars, barrel hall and a private museum of wine and art. That's followed by a tasting of three estate wines. Then you'll travel the Medoc Wine Chateaux Road to Michelin 2-star restaurant, Chateau Cordeillan-Bages in Pauillac. Finally, there's a photo stop at famed Chateau Margaux (but alas, no tasting). American-born wine writer Dewey Markham, who has lived and worked in Bordeaux, accompanies the excursion. The Eats: In addition to the wine tastings, you get a three-course lunch at a top restaurant. Why We Like It: A chance to visit a legendary chateau, plus a Michelin-starred restaurant? Sign us up! The Scoop: This excursion visits a horse-driven olive oil mill in the village of Orasac, a local wine cellar in Ponikve and oyster beds at Ston, Croatia's oyster capital, which also has a medieval wall. The Eats: You'll sample several olive oils, accompanied by locally made cheese, smoked ham and wine; then more wine, with a tasting of red and white varietals; and finally a seafood lunch. Why We Like It: This tour provides a nice look at different areas along the Dalmatian Coast, as well as tastings of three local specialties, right in their places of origin. The Scoop: Spend the day with a local family, learning about local flavors and traditions -- and sipping a little rum. You'll visit the family's home, located in a tropical rainforest, where you can see local herbs, fruits and spices. 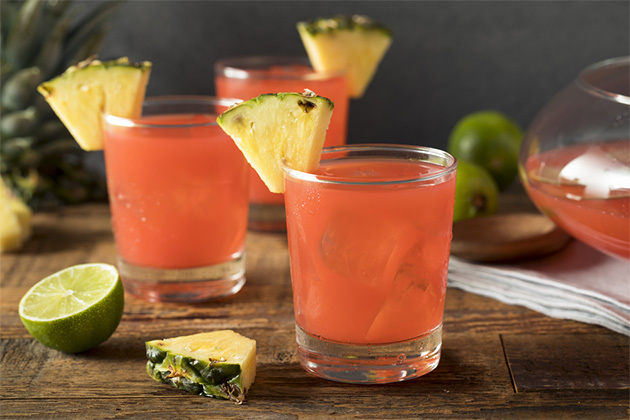 You'll prepare local delicacies and fruit-based cocktails. 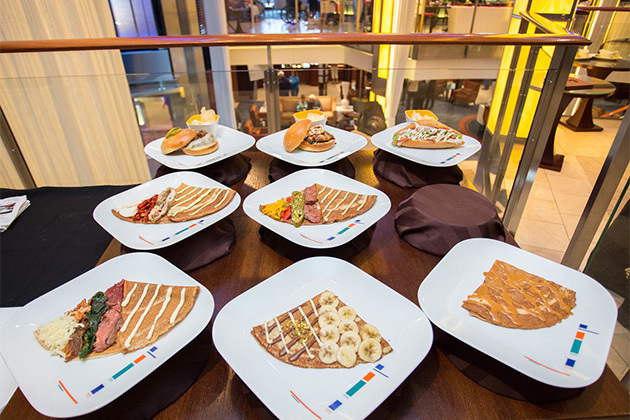 The Eats: You'll dine on your creations, along with Caribbean desserts and rum punches. Why We Like It: You're right in the midst of where local food is grown and interacting with the locals, too. And did we mention rum? The Scoop: You'll head to La Salamora "eco-ranch" in the countryside to learn about the legendary Uruguayan barbequing technique, the parrillada. The tour includes learning how the meats are produced, the various cuts and sausages, and how to start a fire with the proper wood, as well as how to grill each item. 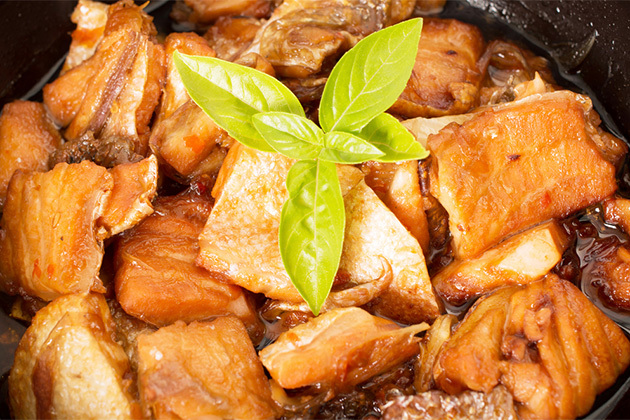 While the meat is cooking, you'll also prepare a typical dessert made with sweet potatoes and meringue. 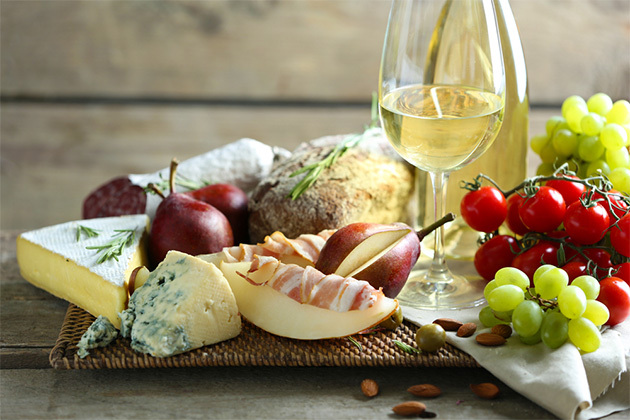 The Eats: You'll snack your way through this experience, tasting cheeses, salami and country bread while you're learning, washed down with traditional Pindo palm liquor or grappamiel. And then there's the grilled meat feast to cap it all off, along with side dishes, like peppers stuffed with provolone cheese. Why We Like It: You can give a man some barbecue, but teach him how to barbecue and he'll grill his entire life. The Scoop: This tour visits America's most famous wine region, with stops at two excellent wineries. Rutherford Hill winery is home to a lot of Napa history, as well as great views. Here, you'll get a behind-the-scenes look at the production facilities, as well as an interactive tasting. You'll also visit the Domaine Carneros winery chateau and gardens, owned by French Champagne great Taittinger. There's a tasting of sparkling wine and a tour of the process. The Eats: In addition to the wine tastings, a three-course lunch with wine is included at a Napa Valley restaurant. Why We Like It: You get to taste both still and sparkling wines on this tour, as well as escape the San Francisco fog. Get as tipsy as you like -- someone else is driving! The Scoop: This program sends you off with the ship's chef to seek out local flavors. Then you reassemble on the ship for an intimate dinner hosted by the chef and inspired by the day's ingredients. In Buenos Aires, you visit the San Telmo market, as well as three local food venues and get a guided wine tasting. 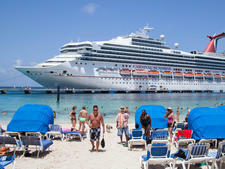 Celebrity offers similar market discoveries in other ports, including Nassau, Bahamas; Pattaya, Thailand; and Alicante, Spain. The Eats: Enjoy tastes on shore and dinner on the ship. The Buenos Aires tour includes a choripan (sausage sandwich), empanada (little meat or cheese pie) and artisan ice cream. Why We Like It: We love being able to "eat local" while onboard -- plus you get to follow the entire process, from market to finished meal. The Scoop: On this tour, you'll visit a Kona coffee farm, a chocolate factory (where you'll go behind the scenes) and a brewing company. The Eats: You'll sample nearly a dozen varieties of coffee, nosh on donkey balls (chocolate-covered macadamia nuts) and sip a selection of ales, including some made with local passion fruit, Kona coffee and toasted coconut. Why We Like It: This excursion lets you taste a nice mix of Kona favorites. Plus, back at the ship, you'll be able to tell everyone, "I ate donkey balls!" The Scoop: This tour visits Hacienda La Esmeralda Garcia Jimenez, a chocolate plantation and factory in the town of San Francisco de Macoris. You'll learn about the process, from seed to harvest to fermentation and drying, and finally to the finished product. Then the tour moves on to the factory, where you'll follow the steps of production and finally make your own chocolate. The Eats: Chocolate, of course -- but this tour also includes a Dominican lunch under the cacao trees. Why We Like It: If you're not a nature lover, there isn't much to do in Samana. This tour will keep you interested. And...chocolate! The Scoop: This excellent cooking class begins with a quick tour of Ho Chi Minh City's market, filled with strange and wonderful ingredients. (Gourmet coffee beans pooped out by civet cats? Yup!) Then you move on to the Vietnam Culinary Cooking Center (or a similar venue) to learn more about Vietnamese ingredients, spices and dishes. You get to cook several dishes at your own cooking station, as the chef demonstrates and instructs. The Eats: The menu can include everything from spring rolls to caramel fish. You'll have plenty to eat -- and go home with the recipes. Why We Like It: This class is extremely well-run, organized and educational. When we did this shore excursion, we got to cook three complete dishes. 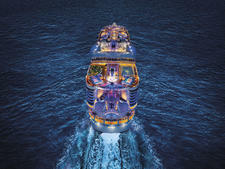 Holland America offers a similar class in Nha Trang, Vietnam. The Scoop: You'll first head to Casablanca's Central Market, with a little sightseeing along the way, passing by the huge Hassan II Mosque. After checking out the local ingredients (oh, those spices! ), you move on to La Toque Blanche School of Gastronomy, where you might learn to cook couscous, lamb with plums and honey or chicken with olives and preserved lemon. The Eats: You're greeted at the school with Moroccan mint tea or coffee and a selection of pastries, and, of course, you'll get to eat the dishes created in class for lunch. You also get a selection of spices to take home. Why We Like It: Moroccan cuisine and techniques are unusual for most Westerners, so this is a great opportunity to learn more about the delicious flavors.